1. What is Hubberts Curve? What does it predict? 2. What are the arguments made by the book "Limits to Growth". Do you find them to be valid? 3. Why has petroleum been so important in modern civilization? Be specific. Explain the reasons why it will be so difficult to replace petroleum. 4. Do you agree with the authors supposition that the Ancient Maya are a relevant example to what is happening in our civilization now? Explain. 5. What is your Carbon Footprint? Calculate yours using one of the following sites. 1. What are the contributing factors that seem to have proven proven Thomas Malthus to be incorrect in his predications about population growth? 2. Speculate with a paragraph: How might Demographic transition from Rural to Urban living transform political structures? 3. List three ways that an population growth rates in developing countries might change global political balances. 4. What are the limits to growth that human civilization faces? 1. Given above articles....To what extent do you believe Google Glass might effect the principles of a democratic capitalist world system? Is this technology most likely to support the principles or erode them? 1. Watch: Ronald Reagan "Tear Down this Wall" and Fall of the Berlin Wall How would you describe the tone of Reagan's Speech? What are the practical and Ideological reasons he wants the wall torn down? How would you describe the people shown as the wall and the barriers come down? 2. Watch each of the short video clips regarding Perestroika and Glasnost. Read the sections at this webpage and define Perestroika and Glasnost for your notebooks. 3.What role did Mikhail Gorbachev play in the dissolution of the Soviet Union? Do you believe it was inevitable or did he have alternatives? China has said it wants to build a Harmonious World. This is what is often referred to as the One World One Dream policy in Chinese foreign affairs. 1. Summarize how the Chinese Dream depicts the way the world should be Politically, Economically, Culturally, Security Wise, and Environmentally. 2. What does China list as its Core Interests? 3. What is your reaction to the Chinese Dream as laid out in this document? 1. Which was more successful, the Great Leap Forward or the First Five Year Plan? Why? 2. Why did the Cultural Revolution begin? Can it really be accurately described as a Revolution? What were are the long term effects of such a policy? 3. What were the Four Modernizations? 5. Judging from what you have read, do you believe that Hong Kong will keep its freedoms under Chinese rule? think about the last 60 years of Chinese history to help you explain your answer. Form of Government; Electricity Consumption; Oil Consumption; Natural resources; Primary language; Environmental concerns; Predominate religion; Literacy Rates; Life Expectancty; Airports, Shipping Ports, Railroads, Highways, Internet Users, Anything else you find interesting or of note. Railroads, Highways, Internet Users, Anything else you find interesting or of note. 1. What reasons are given for the formation of an Israeli State on the former British Mandate of Palestine? 2. What methods were used by Israel to secure it's current territory? 4. Why was the United States supporting the Shah of Iran? 5. In what ways did Iran change after the Islamic Revolution ? 6. What role did Saddam Hussein play in the 1980's vis-a-vis Iran? 1. Read the Unit Overview (5th Edition) called "Unit Shortcuts" in the 6th Edition. 2. Do a brief outline for one of the sample essay questions found at the end of the unit (5th edition)....they are called "questions for consideration" at the end of shortcuts section in the 6th edition (your choice). Don't write the entire essay, just an outline. 3/24 2. Make one collage that visually represents all aspects of the Cold War from 1945-1991. Bring it to class to share. 2. Old School Exercise..... Universal Declaration of Human Rights. Click on the link. Copy the entire Declaration of Human rights by hand onto clean sheets of loose leaf paper. I will collect them. 1. What is the challenge that the authors of this textbook set out to address? 2. What are the two themes of History that this textbook explicitly uses to meet the above challenge? 3. For each of the two themes give two examples from your study of World History thus far at Stuyvesant that illustrate the themes. “What would happen if capital succeeded in smashing the Republic of Soviets? There would set in an era of the blackest reaction in all the capitalist and colonial countries, the working class and the oppressed peoples would be seized by the throat, the positions of international communism would be lost.” ~ J. V. STALIN, Speech at The Seventh Enlarged Plenum of the E.C.C.I. (December 1926). 1. 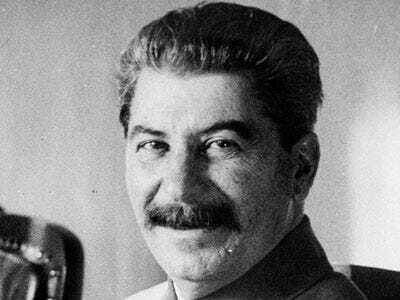 In what ways did the Soviet Union change under Stalin? What were the Costs? What were the Rewards? 2. What is the difference between a Kulak and a Gulag? 2/6 #1 Read Earth and People 835-840 What is Fascism? 1.What was Smoot Hawley? What effect did it have on Global Trade? 3. What are the tools that fascists use to gain and maintain power? 4. Who was a more successful Fascist? Hitler or Mussolini? Why? 1. What attitude must the Dictator have toward human nature and politics if he is to succeed in gaining and maintaining control. 2. What is herd-poisoning? Why is it an effective means of power projection for the dictator? 3. Do you find Huxley's observations in these articles to be accurate or is he overreacting? Explain your answer. a. Television shows you watch on a regular basis. c. News Organizations you receive news from on a regular basis. d. Websites you visit most frequently. 2. How does the human "appetite for distractions" allow for an unforeseen type of manipulation? 1. Describe the Japanese strategy in East Asia. 2. What do you believe was the biggest predicament that China faced in the 1920's and 1930's? 1. Identify the similarities between the causes of World War II in Europe and the causes of the War in Asia. 2. What advice would you give to world leaders that might help them avoid a third World War? Many of the technologies in the article are foundational to the technologies that we take for granted today. Choose one of the following areas, explain briefly how it came about during world war two and how it was used in the war. Then trace the technology forward to today and explain how it has changed both technologically and in the way it is used. If you want to be a real Stuyvesant Champion, project the technology into the future and predict how it might be used! 2. How did the the strategic philosophies of Gandhi, Nehru and Jinnah differ? How were they similiar? Who do you believe was most influential in India's achievement of Independence from Britain? Why? 3. Draw and label a timeline that that documents the origins and narrative (story) that has led to the current state of India and Pakistan. 1. In what way was the situation in Colonial Africa different from the situation in India? Were they similar at all? If so how? Give an example. 2. What did Haciendas and Mestizos have to do with the Mexican Revolution? 3. What is a Social Revolution? 4. Who were the Constitutionalists? What kind of Mexico did they fight for? Which was the foremost cause of WWII?